The UK’s largest tree celebration, National Tree Week, has been running since 1975 and launches the winter tree planting season. 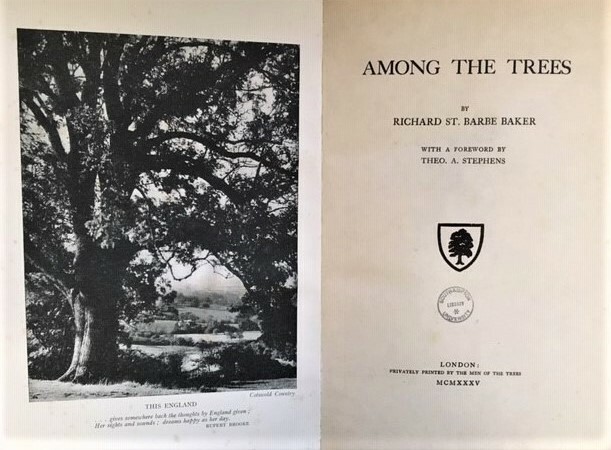 This week, in honour of our ‘treescape’, we take a look at the trees and forest in Hampshire through items in our University Special Collections. 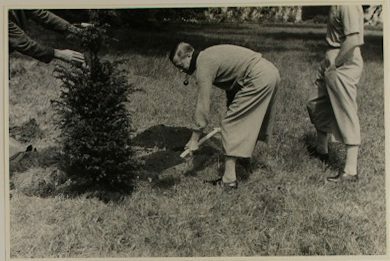 There is a long – and royal – tradition of tree planting for commemoration and celebration: in this photo, King Edward VIII wields a spade at Adsdean, Earl Mountbatten’s home in West Sussex – (note the pipe!) Mountbatten’s guests were often invited to plant trees. In April 1957, H.M. the Queen and Prince Philip planted mulberry trees in the gardens at Broadlands to commemorate the 350th anniversary of the granting of Romsey’s Royal Charter. During the royal jubilee in 1977 the Queen returned to Hampshire to plant trees at Ampfield and Woodley. 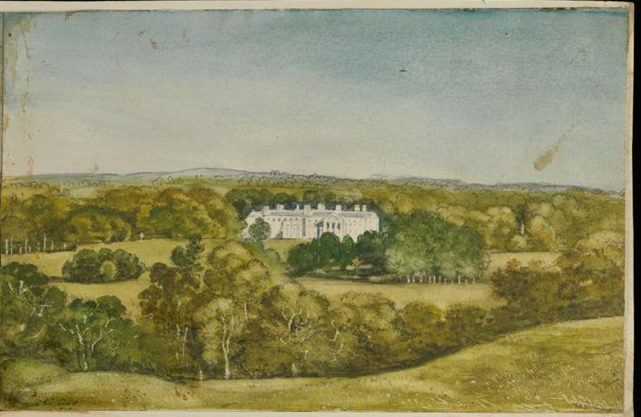 Watercolour view of Broadlands and Romsey, n.d. MS 62 Broadlands Archives BR Map 142. By May 1843, Hereman had carefully planted the seeds in the vinery, the melon yard, and the new greenhouse at Broadlands, exactly following ‘the last directions given in the Gardener’s Chronicle’ [BR114/8/17]. 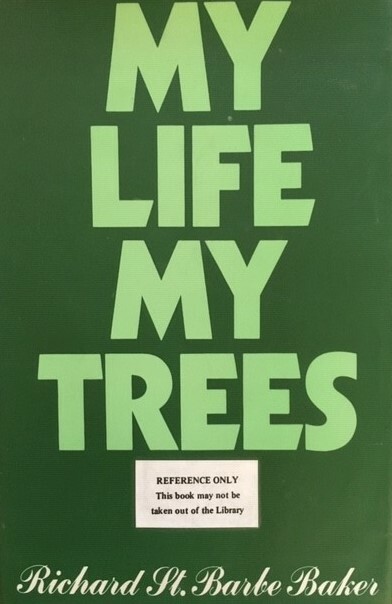 By this date the practice of managing and planting woodland was becoming more scientific, aided by the growing number of publications offering advice. 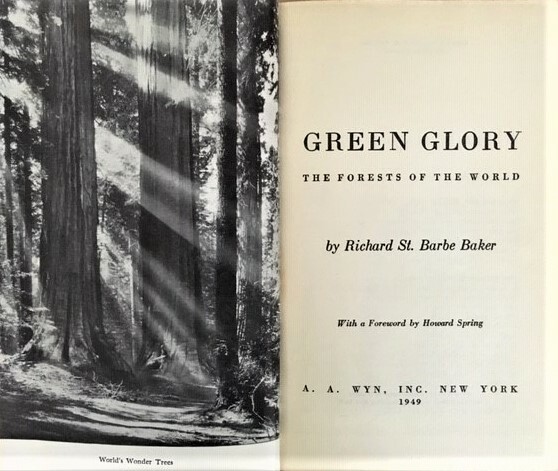 Timber after all was a valuable resource for estate owners. Early examples among our rare book collection at Southampton include: The Manner of Raising, Ordering, and improving Forrest-Trees by M. Cook, published in 1676; and A sure method of improving estates by plantations of Oak Elm Ash Beech and other timber-trees, by Batty Langley, 1728 [Rare Books Perkins SD 391]. 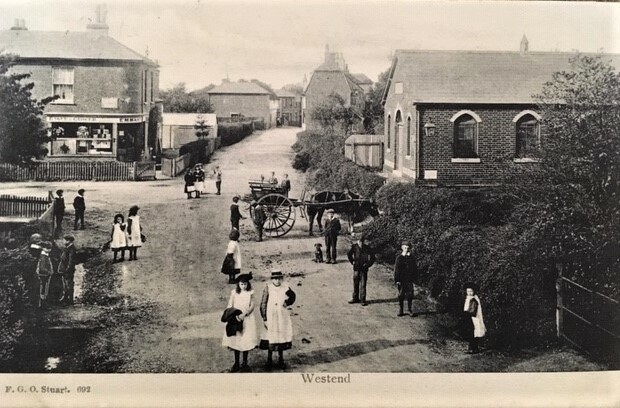 William Cobbett – the famous farmer and political commentator who lived in Hampshire – also wrote The Woodlands, a treatise that was serialised in the Political Register between 1825-8. 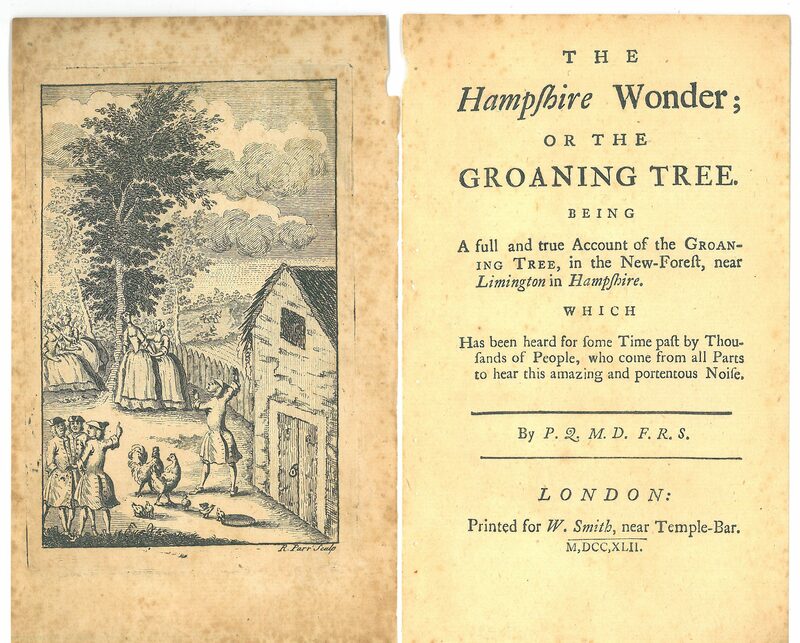 The Hampshire Wonder or The Groaning Tree being a full and true account of the Groaning Tree, in the New Forest, near Limington in Hampshire, which has been heard for some time past by thousands of people, who come from all parts to hear this amazing and portentous noise, by P.Q. M D. F.R.S., London, 1742, Cope 97.58.